For an album firmly planted in a genre known for its heaviness and brutality, Blood for the Master is striking for its lack of power. 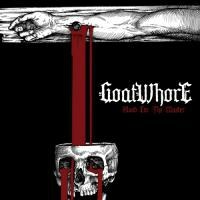 When I laughed upon seeing the album art for Goatwhore's newest album, I thought to myself, "This probably isn't a good start." The band's occultic take on the Eucharist (rightly) won't make most people chuckle, but for me, the cover represented everything I don't like about black-metal, namely the cliched depictions of occulticism that makes people so hesitant to engage in the genre in the first place. Speaking as someone who disagrees with much of the genre's known philosophy, I still recognize that there are black-metal musicians who don't just go with the most obvious anti-theistic titles like, I don't know, Blood for the Master. (Plus, even though I love metal, the name "Goatwhore" pushes it.) Though Goatwhore's primary stylings come in the form of thrash and death-metal, there's always been a black-metal sheen to their music, especially in the band's album art and song titles. Blood for the Master follows on the heels of 2009's Carving Out the Eyes of God, which included song titles like "Razor Flesh Devoured" and "Provoking the Ritual of Death". The band's newest outing features similarly malevolent titles, the best of the lot being "Parasitic Scriptures of the Sacred Word". From the very first glance, Goatwhore look exactly like the kind of band that make parents think metal music corrupts the youth of America. All of this proved to be something of an unfortunate first impression for me. While I think black-metal can be philosophically serious (as with Deathspell Omega’s metaphysical trilogy) or even counter-cultural (Liturgy’s brilliant 2011 release Aesthethica), Goatwhore struck me as a band that used black-metal aesthetics in the laziest fashion; it’s not hard to give all of your songs portentous titles and slap a Satanic image on your cover. Plus, given what I knew of Goatwhore’s consistently average career, it struck me as likely that Blood for the Master wouldn’t amount to anything deep. By the end of the brief (36-minute) album, my suspicions were confirmed, but that wasn't what surprised me. Goatwhore's discography is mostly average on the whole, though they gained creative momentum with Carving Out the Eyes of God. Goatwhore may not usually be considered in the upper echelons of metal music, but they are incontestably great at one thing: making absolutely heavy music. The band knows how to riff, and they're at the top of their game when the double bass pounds, the bass rumbles low in the mix, and the guitar riffs are appropriately intense. They also benefit from the vocals of Ben Falgoust, whose growls at times reminded me of Dark Tranquillity's Mikael Stanne in their balance of harshness and their clarity. It's easy for metal vocalists to be incomprehensible (which isn't necessarily a bad thing), but Falgoust keeps his vocals harsh but appropriately understandable. Blood for the Master has all of these elements, but they're surprisingly subdued. Goatwhore is sticking to their guns, but instead of firing full-blast, they decide to play it rather straightforward. Blood for the Master flies by fast, but by the time it's concluded, the songs blur together into one generic whole that strangely lacks the band's requisite heaviness. For the first part of the record, this lack of all-out heaviness works to an extent. The first three tracks set the record up to really build in its latter half, but the climax I was waiting for never came. Even when the album takes the time for a Swedish metal-influenced acoustic intro in "Embodiment of this Bitter Chaos", it's a very brief moment, and it doesn't do much to make the song stand out other than it being "that track with an acoustic introduction." The acoustic intro gives way into an absolutely killer riff, but given the presence of other killer riffs throughout the record it's feels superfluous to mention. I could pick out individual songs and try to isolate the various elements I see playing out, but in doing so, I'd be describing most of the songs on the record. There are furiously strummed, cacophonous riffs, powerful drum beats, and meancing growls speaking of the destruction of humankind. Complexity is not this album's strong suit. Lyrically, there's little variegation from the band's past outings. Take, for instance, this stanza from the furious album opener "Collapse in Eternal Worth:" Spoiled with ageless blood / Destroy the kingdoms on the throne above / Rising legion of the damned / Bring forth the holy lamb of the slaughter". The emphasis on blood, the subversion of Christian imagery, and the mention of the netherworld are all what we've come to expect from Goatwhore, and here they keep up their commitment to peddling darkness. Blood for the Master will satisfy those who share the band's grim philosophy, but even for them, these records will come off as inane. I don't personally agree with the band's worldview, but I do know that their blood-drenched lyricism has been done in thought-provoking and challenging ways before, and this record isn't either one of those things lyrically. I've seen many tout this record as Goatwhore's most accessible outing yet. They're right, but I would argue that isn't a good thing. Blood for the Master's clean, pristine production does indeed make it a fast, easy listen, but in doing so, it also undercuts the band's heaviness. The harshness of black-metal is noticeably absent from the album, leaving instead a pristine audio recording of a band that is really good at fast riffs and breakdowns. It's surprising that the band has decided to play it safe after the improvement most saw in Carving Out the Eyes of God, but at least they're still doing what they do best. Blood for the Master represents Goatwhore reverting back to their less-than-great death/thrash sonic territory, which is good for a quick listen, but not much more.